Star Wars Darth Vader Kettle - What's Goin' On In The Kitchen? 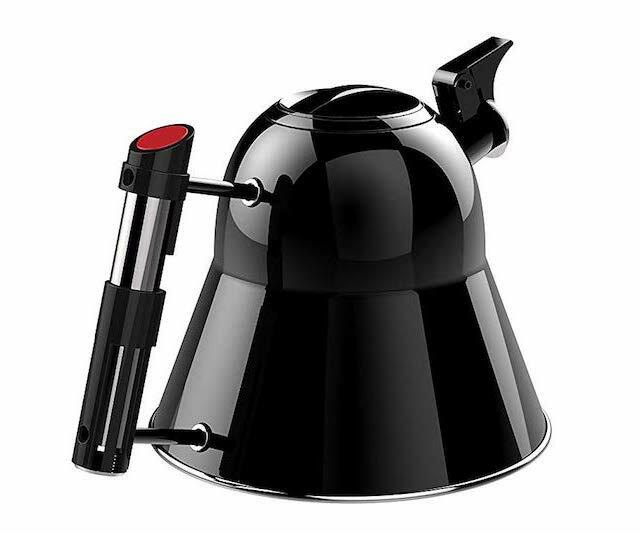 A perfect gift for Star Wars fans and tea drinkers alike, this Star Wars Darth Vader Kettle will look awesome in any kitchen. This kettle is designed to look just like lord Vader’s helmet and is made of tough stainless steel. To finish it off, the handle is a replica of the infamous Vader’s lightsaber. Get the perfect gift for any tea drinking Star wars fan today. If you love this, be sure to check out some of the other awesome kitchen appliances I have found.